I have a new writing project that I’m completely pumped about. My husband, Jared and I are in the process of publishing a family devotional entitled Home. Though the church is to come alongside parents as they disciple their children, the HOME was designed by God to be the primary place for faith development. We’re excited to offer a resource to help parents make home the hub of discipleship for their family. Be watching for this book this summer! God is stretching and growing this ministry to the point where He is leading me to organize the ministry in new and exciting ways. The ministry of speaking and writing is ini the process of functioning under the umbrella of a non-profit (501-C3), Room To Move. 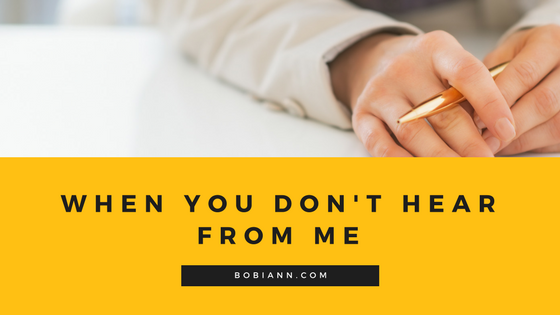 I look so forward to sharing more details down the road, including what Room To Move means to me. I’m so thrilled to have Jesus, Our Joy offered through one of my favorite sister ministries Contagious Joy as an online study just for MINISTER WIVES. Contagious Joy is a multi-denominational ministry for Pastors Wives. The founder (Diane Nix) is one the primary speaker for Pastors Wives at all of Lifeway’s Leadership Events. She travels to almost all of the YouLead events as well as their National Women’s Ministry Leadership Forum to speak and encourage minister wives. 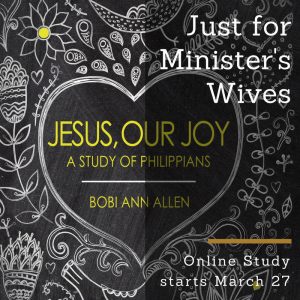 This ministry is offering the Bible study I published, Jesus, Our Joy for minister’s wives ONLY starting March 27. The Contagious Joy website is the ONLY website focused on ministry wives that has taken all the necessary precautions to shut the ‘back door’ so that the wives have absolute security knowing what they share on the website can’t be discovered by some random church member. So, its a great place to do an online study with other ministry wives.